Over the last three classes, Ryan and I built a dunk tank using the Hummingbird programming board. 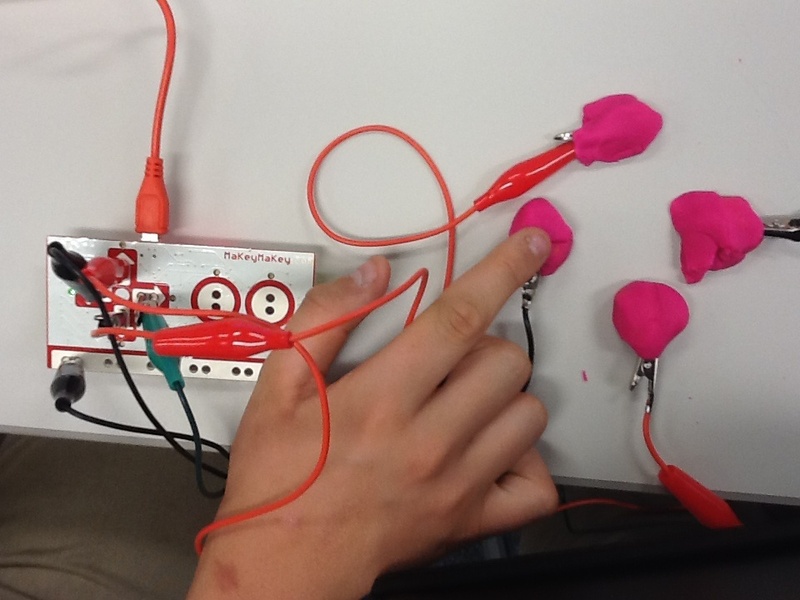 We began with the idea of simply using a servo motor. From there, Ryan built the physical representation of the dunk tank as I programmed all the necessary functions. It ended with a poster board frame covered in black paper in the outside, with blue paper in the inside. There was a "seat" function and whenever something went near to the distance sensor, the servo rotated 90 degrees down and then returned to its original position. Complete with blue LEDs in the bottom depicting water and a little cardboard person on the seat, it gave the illusion of dumping someone into the water. We then retrieved him from the elevated base and put it back on. In Creator's Studio this week, I created an iPad stand which relies on a back support, front lip and little "legs" coming from the back to hold the iPad up. I started with the shapes I would be using a regular shapes. I used a square for the bottom piece and lip as well as the two small "legs" and a wedge for the back support (which are geometric shapes). I rotated and shrunk the objects to fit the length, width and height specifications as necessary. Then, I added a hole using another wedge and aligned the wedge whole and wedge back. I grouped the objects to make sure the color was the same and that I could edit my stand as one piece as opposed to individual parts. I would like to 3d design some kind of boat and then print it and refine and add other parts to make it water-worthy. I expect it to be less than 6 by 4 by 6 inches. a) how plastic works in relation to floating and hydrodynamics as well as which shapes of hulls without the benefit of something like a keel are the most stable yet have the least drag possible. 2. Research on the specifics of the hulls of boats will be required to some degree but at the same time small scale models for experimentation would work better in terms of first hand knowledge in the scenario that I create. 3. Nothing but TinkerCAD and the printer! 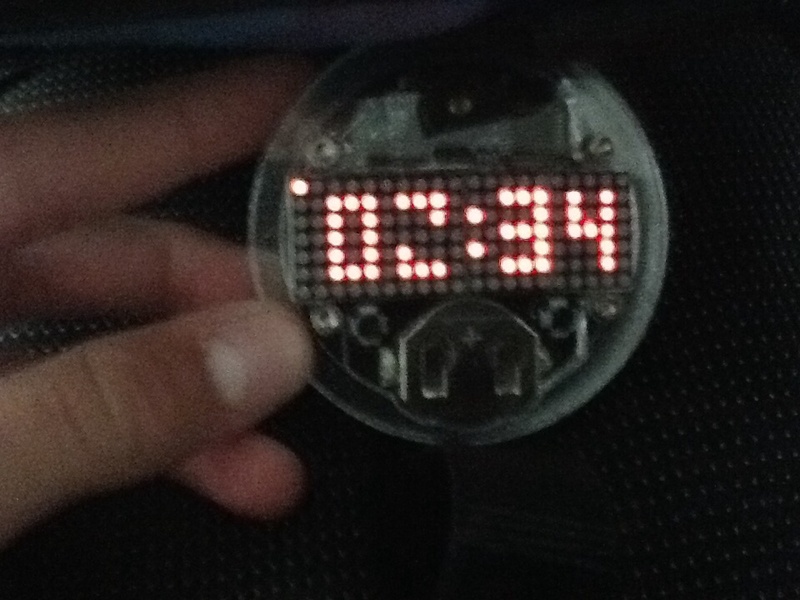 For my project, I chose to build a digital watch. Building the watch included soldering almost everything onto the watch, including the 48 small LED ends, making the battery holder and putting the outer plastic watch part together with screws. I used a watch kit, a soldering iron and other soldering tools, gloves and a fan. The most difficult part about the project was soldering the led ends. At the time, the soldering iron I was using had a very broad tip, making it difficult to solder lots of little things in a very confined space. This was very frustrating at times. The part I enjoyed most was soldering with the solder that had a smaller tip. I could make lots of progress in a very short amount of time and that was satisfying. I learned two things from doing this project: There can be an easier way to do something, if you look for it and never use a soldering iron without gloves. 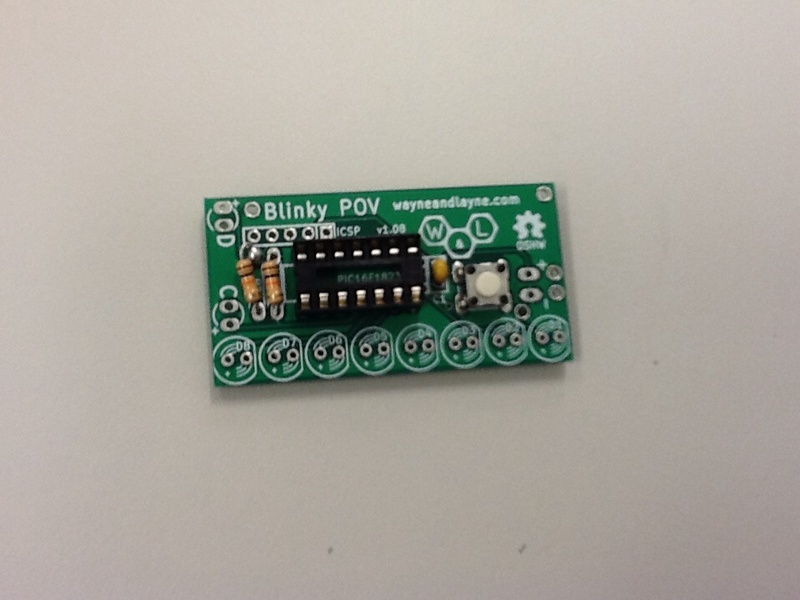 Yesterday and today I started making a Blinky POV, a machine that makes lights blink while I am waiting for the watch I am building to come. I was also able to burn myself with the soldering iron. 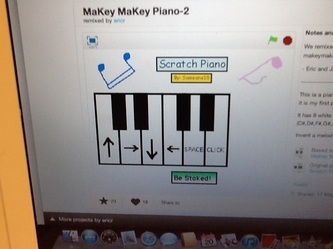 Using a Makey Makey panel, Mack and I made a controller for a Scratch piano game. We could only play 6 notes, but it was still fun. My project idea is an eight-oared crew shell that rows in sync using servo motors and very small oars. My inspiration was a book called The Boys in the Boat. I need two servo motors and wood that I can carve into oars and a shell. I need help programming the servo motors to move in sync and in the right way.